Welcome to Four Seasons Guide Service!! Here at Four Seasons we specialize in Lake Texoma fishing guides on Lake Texoma. 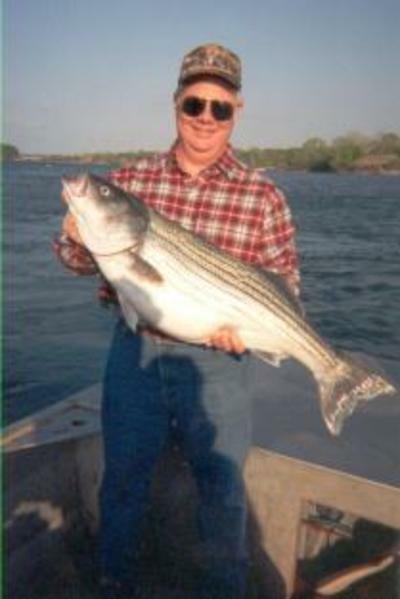 Lake Texoma Striper fishing is the premier inland striped bass lake in the southern United States. The lake has one of the most liberal bag limits for stripers in either Texas or Oklahoma. Four Seasons Guide Service provides professional fulltime guides who specialize in fishing for the Big Fish. If fishing the outdoors is your passion or you are simply just a first time novice looking for a great adventure, the combination of Lake Texoma and Four Seasons Guide Service is the answer to your search. We Guarantee Fish and we provide everything except a fishing license. Below the Dam of Lake Texoma on the Red River has produced striped bass up to 43.1 lbs. Few guides offer fishing in this area simply because they do not have the equipment or the knowledge of the area to manage fishing for the truly largest stripers in our area. Four Seasons Guide Service has both. We are professional guides who make our living from knowing where to place our clients to provide them a memorable outdoor adventure. We are located in the Central Flyway of the United States on Lake Texoma, where a variety of Waterfowl utilize this area as a resting stop on their migration south. The Red River Valley produces a variety of forage which is utilized by the different species of waterfowl in the area. The most common of these species include Mallards, Pintails, Widgeons, Gadwalls, and Teal. Canada, Snow, and Greater White-fronted geese are also located in the area. Forage along with extensive scouting all year, enables us to keep and stay on the birds! 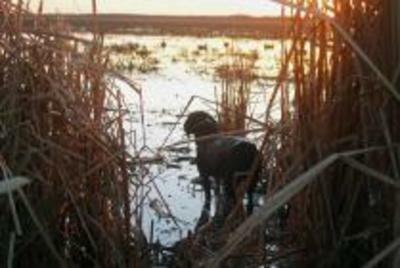 Getting where the fish or ducks are never poses a problem at Four Seasons Guide Service. Whether Duck Hunting the Red River, or the low water areas of Lake Texoma, we'll put you on a guided trip to remember. Having the right equipment for the job is an old cliché' which certainly applies to providing a quality fishing or hunting trip. Four Seasons Guide Service is a professional outfitter offering the best Striper Fishing, Trophy Bluecat fishing, and Duck Hunting found in Texas. We strive to make every outing with Four Seasons an adventure to remember. Our commitment to our customer is to place you and your party in the middle of the action and that is how we guarantee our performance. We know that is what our customers want and that is what we will provide. We guarantee the highest quality of service. Quality guides with an average of 10 years experience in both hunting and fishing. Morning and afternoon hunting and fishing available. 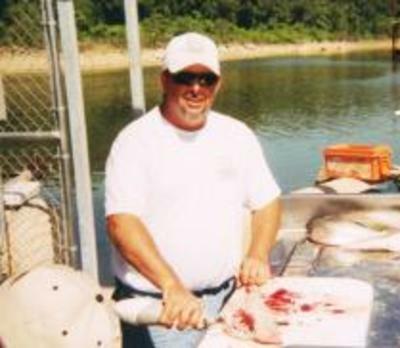 Fish both Lake Texoma or the Red River. It is our opinion that there is no other outfitter in Texas or North America that can offer what we give the customer.